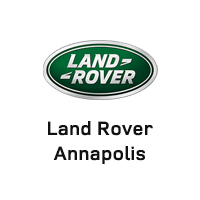 Land Rover Annapolis has a great selection of pre-owned vehicles. When you expect the highest degrees of luxury and performance from your SUV and a dealer experience that reflects your discerning automotive standards, come to Land Rover Annapolis. For the last decade, we’ve been serving drivers with the entire lineup of new Land Rover SUVs, including the Land Rover Range Rover, Land Rover Discovery Sport, and Land Rover LR4. When you shop with us, you’ll also have the option to choose from a variety of elite pre-owned vehicles, as well. Land Rover Annapolis dedicated to meeting and exceeding the expectations of our clientele. Our entire sales team has been carefully trained and educated about all Land Rover vehicles, so you can count on us to guide you to the luxury SUV that fits your exact specifications. You’ll also get to work with our finance team, where you’ll have access to competitive rates on your auto loan. Owning a luxury SUV with world-class performance and off-road capabilities is exciting, and you want to make sure it stays in optimal condition for as long as possible. In order to achieve longevity and ensure quality, count on the certified technicians in our Land Rover service center for your standard maintenance and repairs. The Land Rover Annapolis team is ready to help you find the elite SUV you’ve been looking for. Stop by our dealership to browse our inventory at your leisure at 101 Ferguson Road in Annapolis. If you have any questions, don’t hesitate to reach out online or by calling (410) 904-3108.